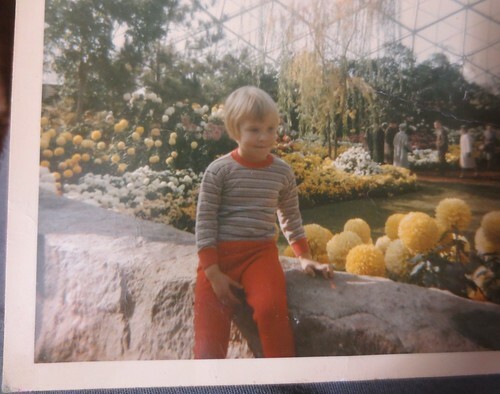 One of the many photos my mom and I have uncovered working on cleaning her house over these past few months is this shot of me in the fall of 1965 at the Mitchell Park Conservatory in Milwaukee. I’m three going on four years old. I have so many questions for this little girl. How was she liking being a big sister? (My brother, my only sibling, would have been a couple months old at this point.) Did she choose that outfit herself? Was red her favorite color? What thoughts were in her head as she looked away from the camera with a not-quite-smile on her face? Was she happy?